This is the first in a series of posts on rethinking critique in the workshop. The second post is here. The third is here. The fourth is here. Recently I was on a panel with two writers I admire and afterward we got to talking about PhD programs. One of them, an Iowa MFA grad, had been encouraged to apply. “But I hate workshops,” she said. The other, a student in my own CW PhD program, agreed. I didn’t know what to say. I don’t hate workshops. Sometimes I love them. But is it just me, or has this become an unpopular opinion among post-MFA writers? Why does the backstory on page 3 come so early? Why does this story progress in achronological order? Why does the mother suddenly slap her son? How does the son know that the father is going to leave the family? These should not be questions you know the answer to. They shouldn’t be only matters of information, either. Or no more than a few of them should be (e.g. How old is the daughter?). I tried this for a few reasons. I have been in multiple workshops where the later workshops are of revisions, and often the same ground is covered, and the workshop happens in the same way, so that it feels repetitive or, even worse, redundant. I wanted to prioritize process (why and how the author made the changes she made). I wanted the writer to become even more conscious from the first workshop draft to the revision of all of the decisions being made, why she added backstory about the mother character, for example, or why she cut out the next door neighbor, and how she came to those decisions and how she smoothed out the prose again, how the decisions affected other decisions, etc. Here’s what I mean by not centering the author of the workshop piece: I always tell my students, following the lead of my favorite MFA professor, that the truth is that workshop is most helpful to the person talking, not the person being workshopped. But it usually happens something like this: despite how much the other writers try to inhabit the author’s position, ultimately the problems we see in the work and the solutions to those problems come from the workshopper’s position, not the workshoppee’s. 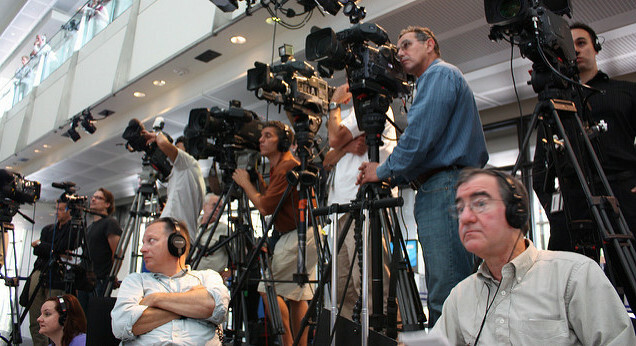 When the workshoppee is able to guide the conversation more, things go a little differently—getting rid of the gag rule can help set parameters on feedback and help make the feedback more helpful—but still it is like a press conference where the author is in the seat and the many workshoppers are behind the podium. Partly that’s built into the way workshop usually operates. While the workshopper is supposed look for strengths in the writing, most of the discussion usually comes out of the way the workshopper is supposed to look for problems and to offer suggestions. That is to say that the workshopper is trained to learn from the piece being read, but not to learn how someone else would do something—the workshop is not the part of CW class that’s about literary appreciation—but how they might apply the strengths and weaknesses of the workshopped piece to their own writing. Of course this is not such a terrible idea. It’s often a good idea, as explained by many pieces on the CW workshop, like Jeremiah Chamberlin’s “The Workshop Is Not for You.” But it’s also problematic in plenty of ways, maybe starting with the fact that ostensibly the workshopped writer is supposed to take a piece to workshop in order to improve it and her own writing. And it is especially complicated when we factor in the usual power dynamics in the typical workshop (white, straight, male, able, middle-class, etc.). There’s also the fact that the workshop is incredibly persuasive, as power usually is. I remember a novel workshop I was in in which I felt like the workshop was changing other students’ novels for the worse—because they listened too much to too many suggestions. I remember telling myself that would never happen to me. But two years later I had to throw out everything I had written on that novel in my MFA and start over. The same thing had happened to me in the end. I had tried to resist, but ultimately writing is about an audience and you’re never closer to an audience than when you have the workshop telling you exactly what it wants. I had tried to satisfy the desires of people who were actually working out for themselves their own desires. I realize that may make it sound like I agree with the other two writers on my panel, that I hate workshops. But the truth is that, like everyone else who talks in workshop, I learn a lot from talking. In that novel workshop I learned a lot about how a certain kind of novel works. I also learned that my idea of a novel was very different. That was important information. It’s just that the particular project I was workshopping actually sufferend. Becauses it was decentered by the nature of the workshop. It took me many years to find the center again. In part 2, I’ll talk a little about what happens when you throw race, culture, and so on into the mix. Spoiler: decentering an already decentered experience doesn’t work out the greatest. In part 3, I’ll return to how my students reacted to the revision workshop in which they were supposed to only ask questions. Spoiler: it was very difficult for them to adjust. I’ll try to address why I think that is, and yet why the class still got very positive reviews. In part 4, I’ll talk about what the greater implications are of putting critique at the center of how we teach writing, and what might be required of us as teachers and students if we wanted to turn the workshop around, and why we might want to do that.